The work of Slovenian pianist and composer Kaja Draksler (b. 1987) contains both simple songs and intricate compositions with a sophisticated and well thought out structure. 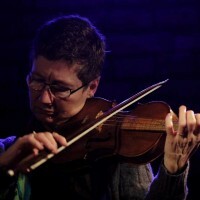 In Krakow she will perform with an international – and intergenerational – octet. Draksler, at the age of 18, moved to Amsterdam, initially to study Latin and Old Greek, but quickly became immersed in the local improvisation scene and began to polish her composition and piano skills. In addition to solo performances, she also performs with the Feecho, Punkt.Vrt.Plastik, Hearthm and Draksler-Santos and Silva duo. She is one of the founders of the interdisciplinary I / O group and a member of the international group Doek. In 2016, with the help of friends from Amsterdam, she founded the Kaja Draksler Octet. 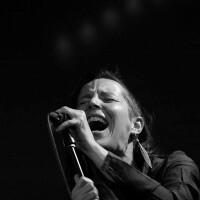 Draksler says on her website: “I love the human voice, therefore I’ve always had singers in the groups I led. At the moment my main project is my octet, with which we are playing a new repertoire of music on the poetry of Robert Frost”. The formal minimalism of this greatest American poet of the twentieth century is certainly an intriguing material for inspiration. Frost’s poetry will be interpreted by two promising singers, Laura Polence and Björk Níelsdóttir. Latvian singer Laura Polence has broad interests: she is inspired by Brazilian pop, Latvian folk music and contemporary music. 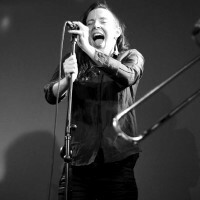 Björk Níelsdóttir is a versatile singer and trumpet player, who performs both pop (with Florence and the Machine), chamber music (with Stirni Ensemble and DÚPLUM), and musical theater (with Silbersee). 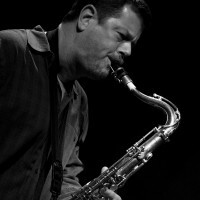 An interesting accent in the octet will be the presence of Dutch saxophonist and clarinettist Ab Baars. 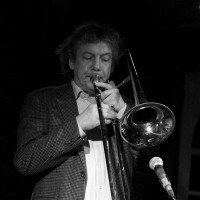 The musician is active on the scene since the 1970s, and he’s a regular at Krakow Jazz Autumn. The line-up will also include Ada Rave, George Dumitriu, Lennart Heyndels and Onno Govaert. 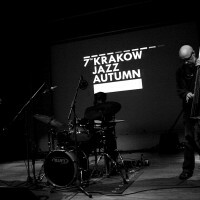 Krakow Improvisers Orchestra is a group that creates an improvised performance (free & conducted improvisation), founded by the improviser and saxophonist Paulina Owczarek. 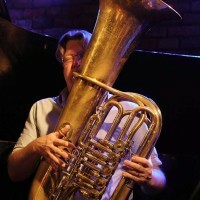 But what is this mysterious form of improvisation? It’s the use of non-verbal language based on a system of gestures and signals by means of which the conductor directs the actions of musicians and dancers. The prearranged signs refer to, for example, to volume or pace, giving the conductor some control over the structure of the composition, while simultaneously not depriving artists of their autonomy. 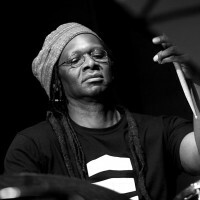 This freedom gives each performance a unique quality, and allows you to be a witness to a very interesting process of creation. 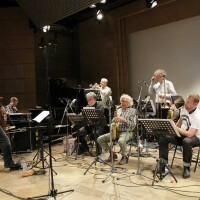 Głównymi inspiracjami Krakow Improvisers Orchestra są m.in. London Improvisers Orchestra, John Zorn’s Cobra, Phil Minton’s Feral Choir czy Discordian Community Orchestra. Zespół współpracuje z światowej klasy artystami zaangażowanymi w tę formę improwizacji, takimi jak dobrze znana publiczności Krakowskiej Jesieni Jazzowej japońska pianistka Satoko Fujii, czy Javier Carmon, Andres Rojas i Miroslav Toth. KIO wystąpiła m. in. 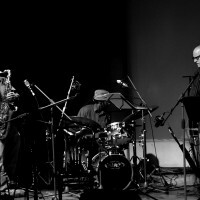 w festiwalach Ostrava Days, Musica Privata i serii koncertów Polifonie w krakowskiej Cricotece. 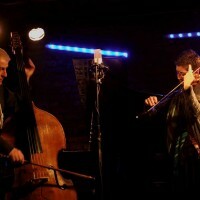 Orkiestra ma na swoim koncie również projekt Qian means Creative Rafała Mazura i Com-impro for large ensemble Satoko Fujii. 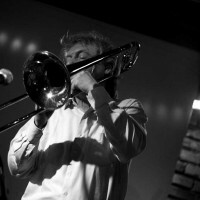 The core inspirations of Krakow Improvisers Orchestra include London Improvisers Orchestra, John Zorn’s Cobra, Phil Minton’s Feral Choir and the Discordian Community Orchestra. 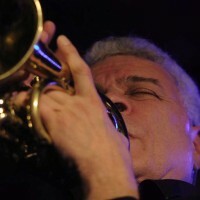 The band collaborates with world-class artists involved in this form of improvisation, such as Japanese pianist Satoko Fujii, or Javier Carmon, Andres Rojas and Miroslav Toth. 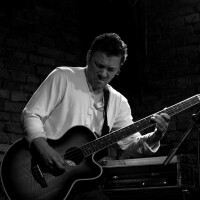 KIO appeared, among others at Ostrava Days festival, Musica Privata and the Polifonie concert series in Krakow’s Cricoteka. 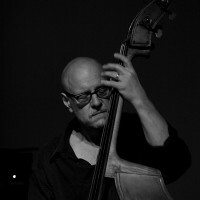 The orchestra has also performed with Rafał Mazur’s project Qian means Creative and Com-impro for large ensemble with Satoko Fujii.